Posted by CanadaGenealogy's special guest, Wilhemina Catrina McQueen. Genea Dixon at GeneaBloggers posted a long list of predictions for 2011. A few look very similar to things that happened (or were rumoured to have happened) in 2010 – eerie, eh? Anyway, the amazing Thomas MacEntee then proposed this as a topic for Open Thread Thursday. So CanadaGenealogy has conjured up the famous and somewhat opinionated Canadian psychic, Wilhemina Catrina McQueen, who has agreed to give just a few predictions of her own for 2011. Her predictions seem a bit tongue in cheek (or wishful thinking? ), but no disrespect is meant to any organizations, companies or bloggers or politicians, living or dead, and, no betting is allowed! Canadians will continue to be concerned about their own personal economies despite encouraging words from the Bank of Canada, etc. etc. This will affect at least some of the decisions Canadians make about their own genealogy research and their projects in 2011. 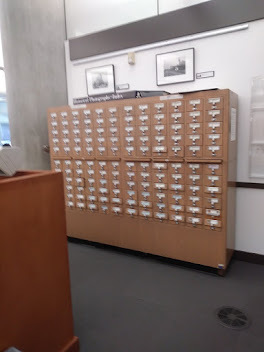 Subscriptions to the more expensive databases and long distance travel may be replaced with trips to local genealogical libraries, archives and Family History Centers. Access to these will be enhanced by better hours and better on-line catalogues and ordering systems for films, etc. encouraging a significant number of genealogists to take advantage of these free or low cost facilities. FamilySearch, after a few fits and starts, will return to its former premier place in on-line genealogy. In turn, a small, but significant percentage of genealogists will volunteer at facilities near their home, or on-line, if opportunities are readily available. Immigration patterns to Canada have changed greatly over the last 144+ years. Immigrants are more likely now to be well educated, to settle in urban areas, to be from Asian countries, and, if of wage earning age, perhaps to be younger than in previous decades. 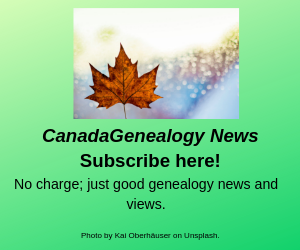 These and other recent changes in Canada's demography may mean genealogical societies will be expected to widen their perspectives and to sharpen their genealogical skills and tools to assist newer Canadians to research more current Canadian records and records overseas. Ancestry will advertise its digitised Chinese jiapu collection widely in Canada in both English and Chinese and will propose other Asian record source projects late in 2011. Young Canadian families have apparently almost wholeheartedly taken to the Internet and to mobile phones to keep connected (according to an Ipsos Reid poll for Telus in 2009). Some 75% of women have Facebook accounts (61% for men) while in British Columbia, Canada, 65% of women used social networking sites to keep in touch with family (no matter what Canada's Privacy Commissioner thinks). A more recent survey in 2010 found Canadian women were among the most likely in the world to share their children's lives on-line, starting with sonograms before birth. 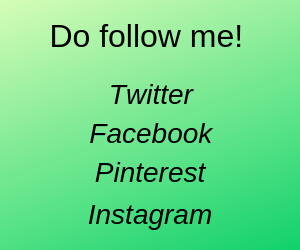 In 2011 familiarity with social networking sites and with mobile phones will be expected by young and old Canadians in any group or organization they commit to. Canadians are crazy for Canada – no matter who they are and no matter what complaints they have about this and that. Witness all those official and un-official red mittens last February and March and ever since! These will continue to be seen at outdoor genealogy events in Canada when it's at all chilly. And by summer 2011, most Canadian genealogists will have caught a Canadian history fever – some will be cramming for the War of 1812 anniversary or the 95th anniversary of Vimy Ridge in 2012, others will be preparing for Canada's 150th anniversary in 2017. Copyright,and digital rights, especially to do with digisation, will continue to be a thorny issue in Canada in 2011. A decision about the Google Book Settlement case will leave some genealogists unhappy – depending on whether they are authors, publishers, Canadian readers or Google share owners. Faced with unhappy genealogists when a commercial database listing Canadian voters from 1935 to the 1980s is released, Library and Archives Canada (LAC) will post copies of its agreements with all commercial and non-profit groups and individuals. A 1916 Prairie Census index will be made available free on-line at LAC, but not till late in 2011. And public consultations and the Services Advisory Board will be revived. Genealogists from across Canada, as the major users of LAC, will be proportionately the largest group involved. Real books will NOT die in 2011 or anytime thereafter. As Canadian universities and governments move towards using and developing more open source software, so will home and other users test it out. One USian genealogist will move straight from using ancient transparencies to using Open Office's Impress. The price of projectors, tablets and digital frames will continue to drop. These will become a popular means of displaying photographs temporarily to family just before or after the December holidays in 2011. And, by the close of 2011, only a tiny percentage of Canadians (none under 25) will remember PDAs, once the 'bee's knees' of portable devices, and Canadians will still be divided about the usefulness of netbooks versus tablets. A significant proportion of Canadian scrapbookers who travel less in 2011, will also decide to spend less on embellishments and will happily turn to family history to fill their pages. Genealogical societies and on-line genealogy communities should both take note. Genealogists will continue to embrace on-line and off-line opportunities for learning whether in formal courses, netcasts or seminars and the like. Since many newer genealogists will be working and juggling young families, or working part-time to pad their pensions, the intensive short term and non-credit courses at the National Institute for Genealogical Studies will be very successful. And several well known Canadian geneabloggers will offer classes in community educational facilities. Genealogical societies take note. Genealogical DNA test prices will be lower again by the end of 2011, but the value of DNA testing, including autosomal DNA, will continue to be debated by many until the price is greatly reduced (under $50US) and the raw results available to individuals, and there are free comparative databases on-line open to all. Then genealogists will make the leap to have themselves and any appropriate (and willing) relatives tested and their results compared with others. This is unlikely to happen in 2011. Geneablogging, geneabloggers and the GeneaBloggers site will thrive in 2011. Although a few, of course, will see ups and downs, the geneablogger community will continue to support its members as always. Thousands of ancestors will be found, cited and filed; thousands of photographs and documents will be scanned, cited and filed, and with a few small exceptions, all the genealogy research/writing plans made and posted for 2011 will be fulfilled. Interesting observations. Does Wilhemina Catrina McQueen have any thoughts on genealogical society membership and fees in 2011? Well, yes, JDR, it happens she does. We were discussing that topic earlier yesterday. Canadians are loyal to groups they care about, but nowadays they want/need to be canny with their money. These times are a good opportunity for genealogy groups - if they can get the word out locally about their activities and projects. Genealogy groups are in a pickle sometimes, needing more volunteers and more money to operate, especially when outside funds are cut off, but members and prospective members won't be happy unless they see that real benefits come with membership, and, they understand where the fees are going. And Willie says that if memberships are constantly increased, without additional benefits to members, it's likely members will lose faith and interest, and fail to renew.